When you see a crowd this big at market, you know that they've got to have something really interesting in the middle of it! And they did! 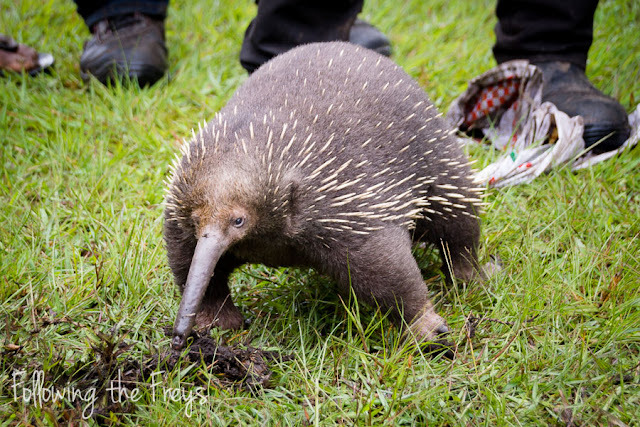 A man was showing off (and trying to sell, if anyone was willing to pay the huge price he was asking...) this long-beaked echidna that he and his dog dug out of its burrow out in the "big bush." This unique animal is actually critically endangered, a fact emphasized by the conversation I heard around me. 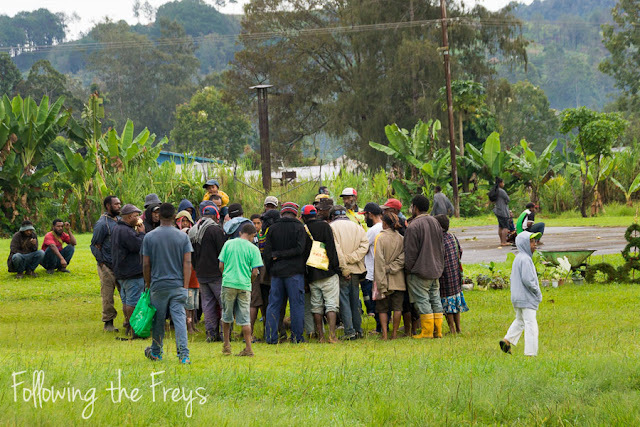 A few Papua New Guineans claimed to be familiar with the animal and its habits, but the majority of the crowd had never seen or heard of it and were as fascinated as I was. A colleague urged the man to return it to the bush where he found it, so that it would be around for the next generation, and I hope he listened, but I have my doubts. 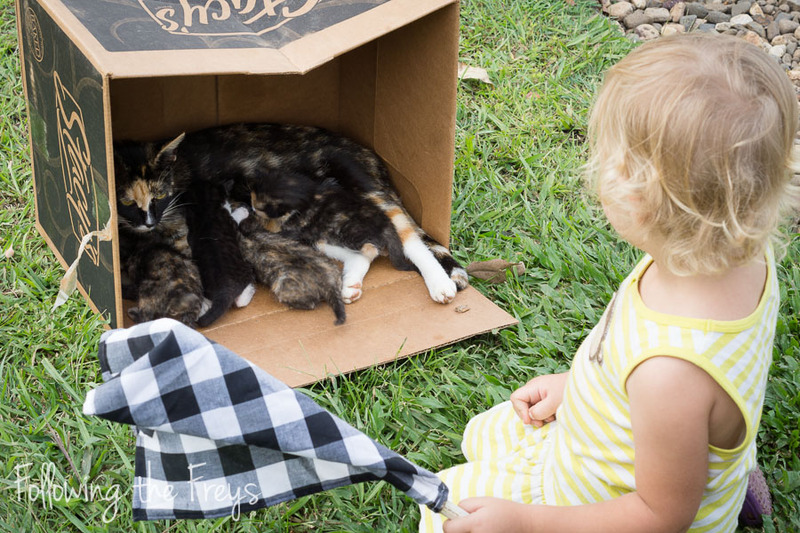 In other animal news this week, Kate enjoyed visiting the neighbors' kittens. I literally dragged her away kicking and screaming. 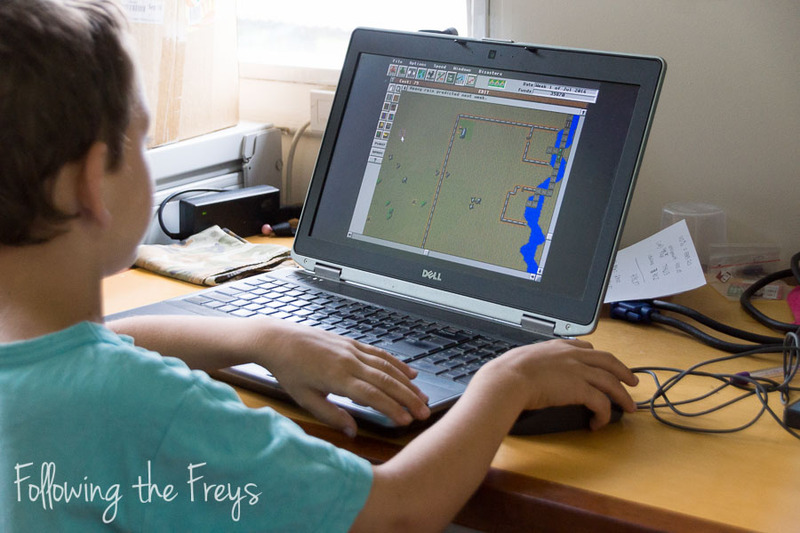 And my eldest is addicted to SimFarm. Brian discovered a website that has lots of old games like this and Oregon Trail. I think it's funny that he loves it so much. Reminds me of when I was in school, though I'm pretty sure SimFarm wasn't around until High School.